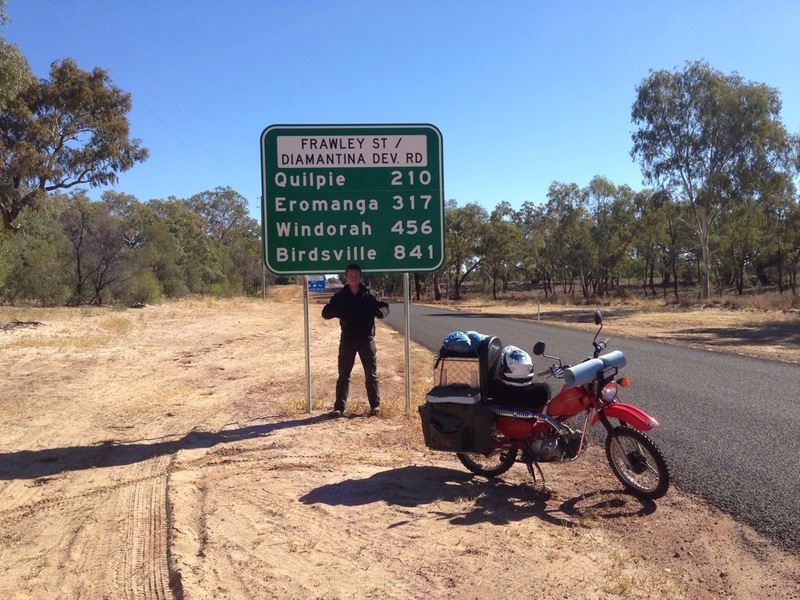 A quick little update on where we are. 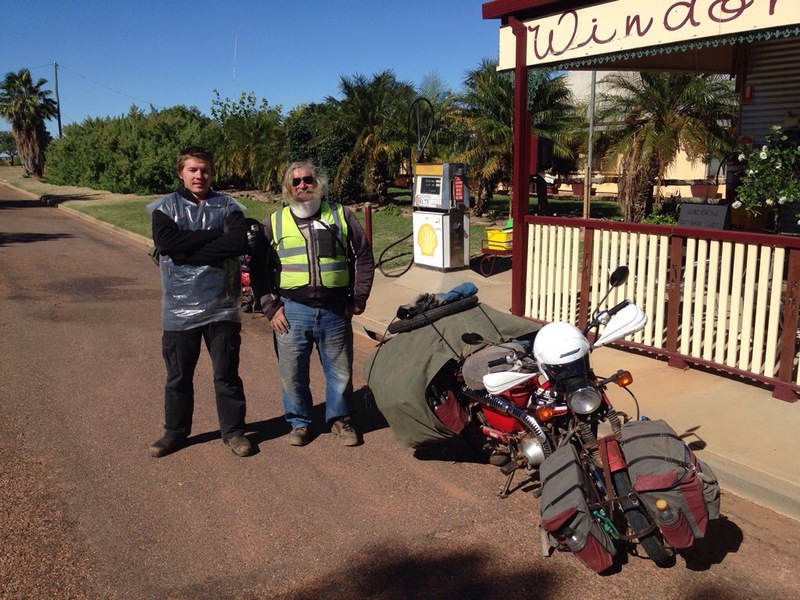 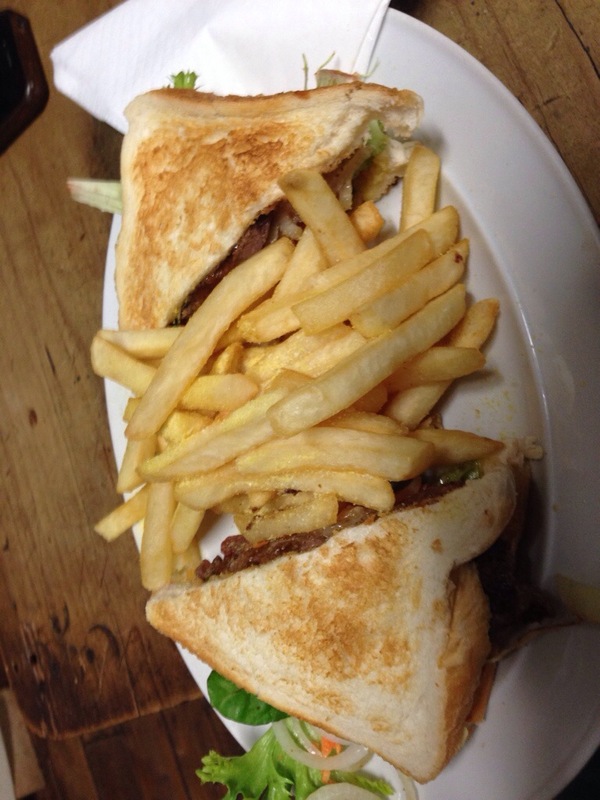 We left Moree at 9:30 and traveled up the Newell Highway to Mungindi. 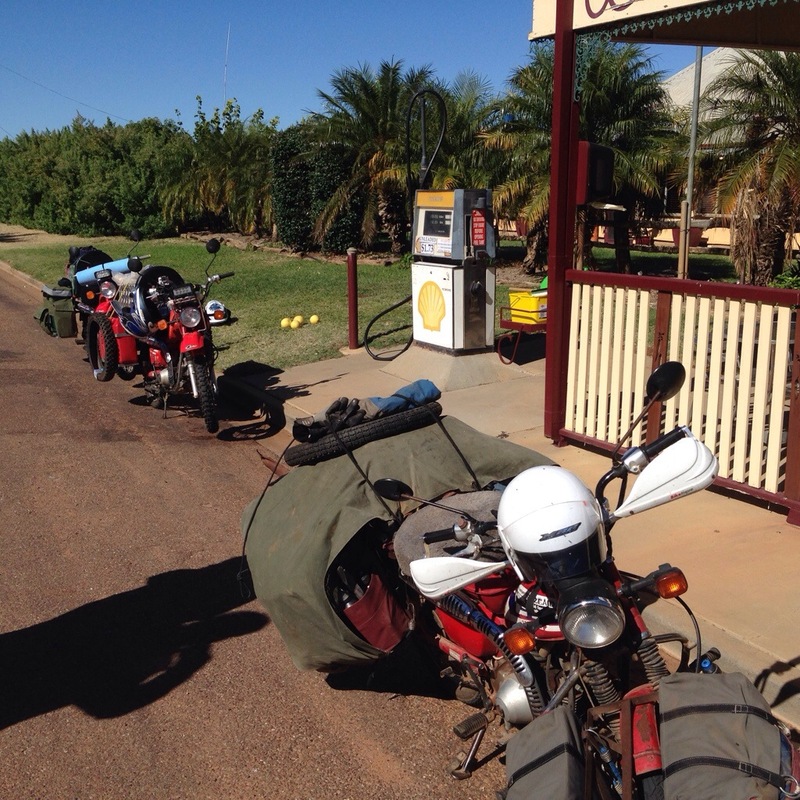 Half way between Garah and Mungindi trouble struck Mackas bike with the fuel flow to the motor being affected. 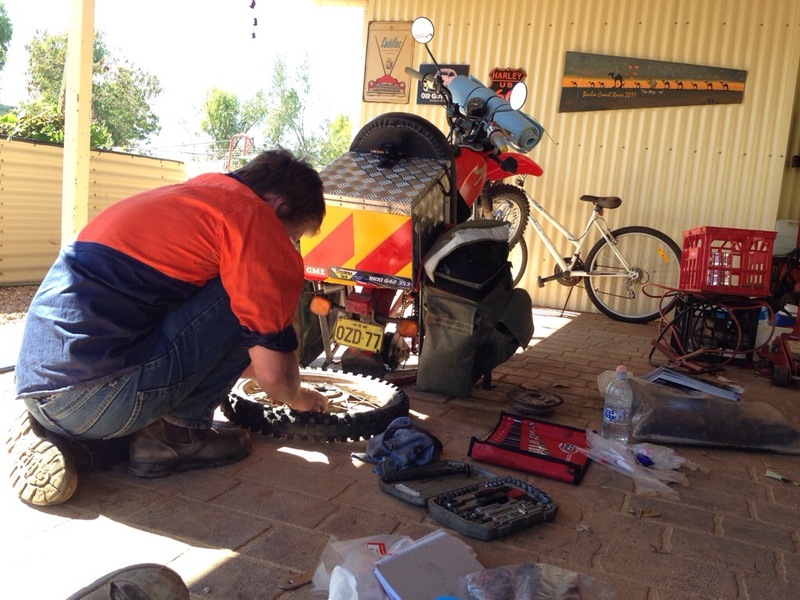 Soon enough the problem seemed to resolve itself and we were back on track for Mungindi. 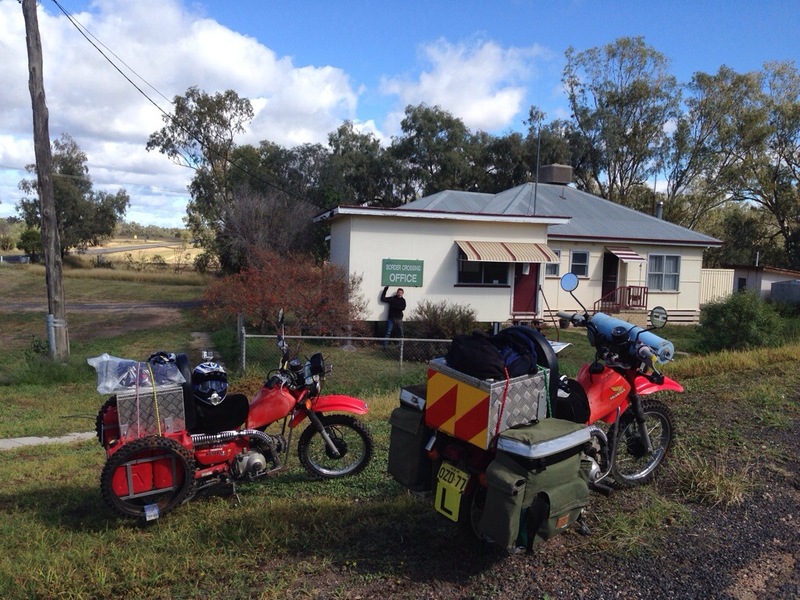 After the compulsory photo at the old boarder crossing office we headed off for Thallon. 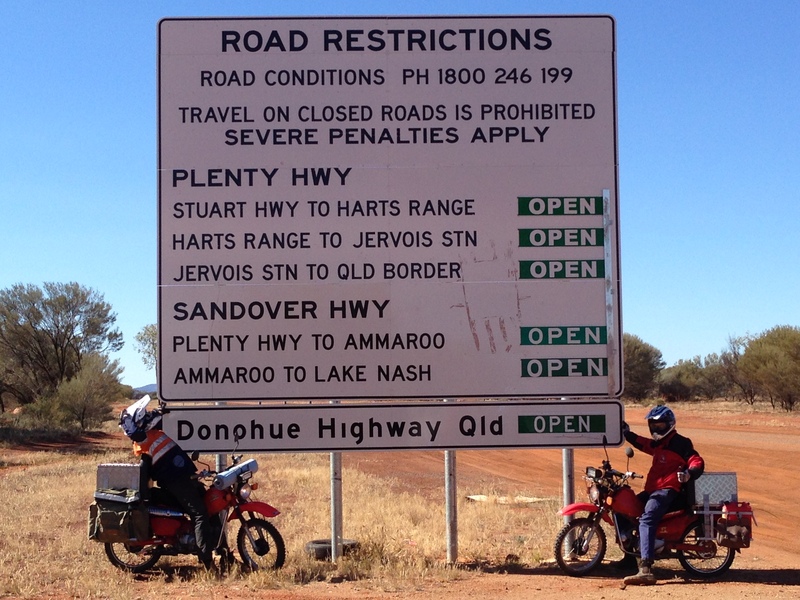 We reached Thallon with no dramas and turned off the Newell to head to Dirranbandi. 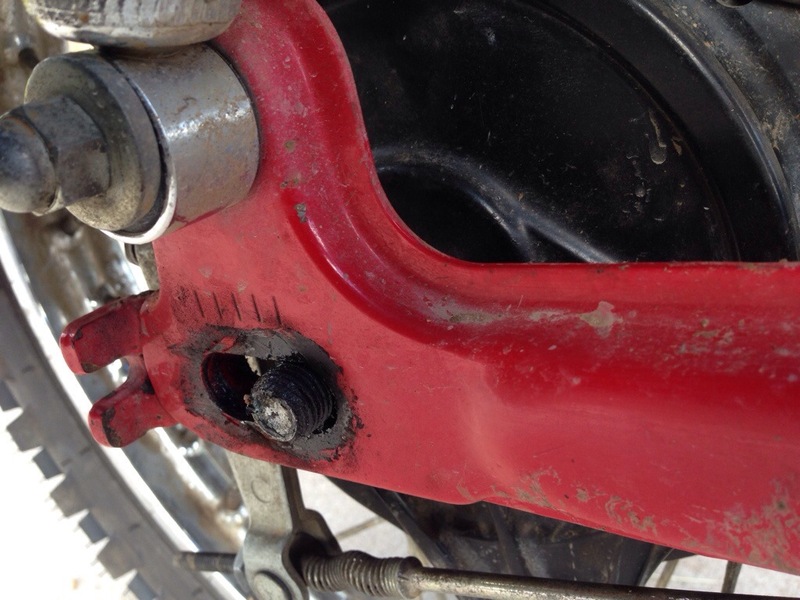 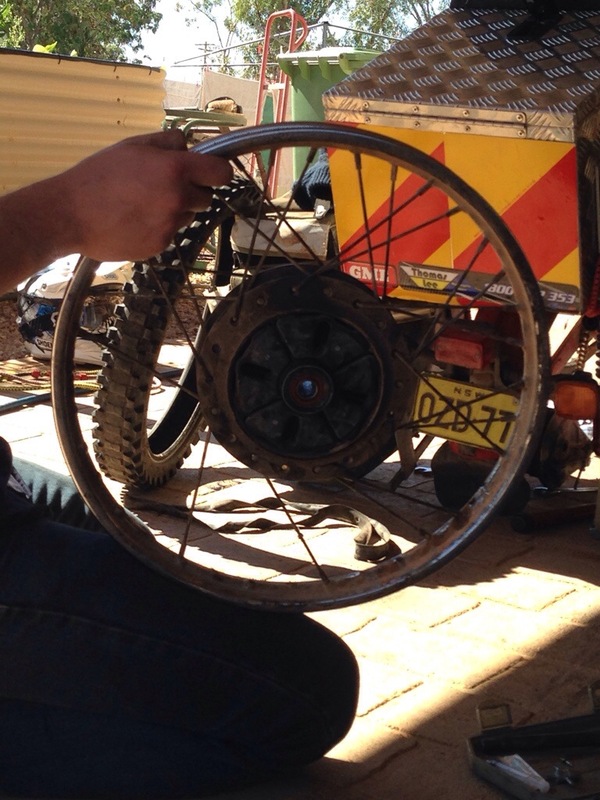 We arrived in Dirranbandi at 2pm and had a spot of lunch before noticing that Macka’s rear axle nut was missing. 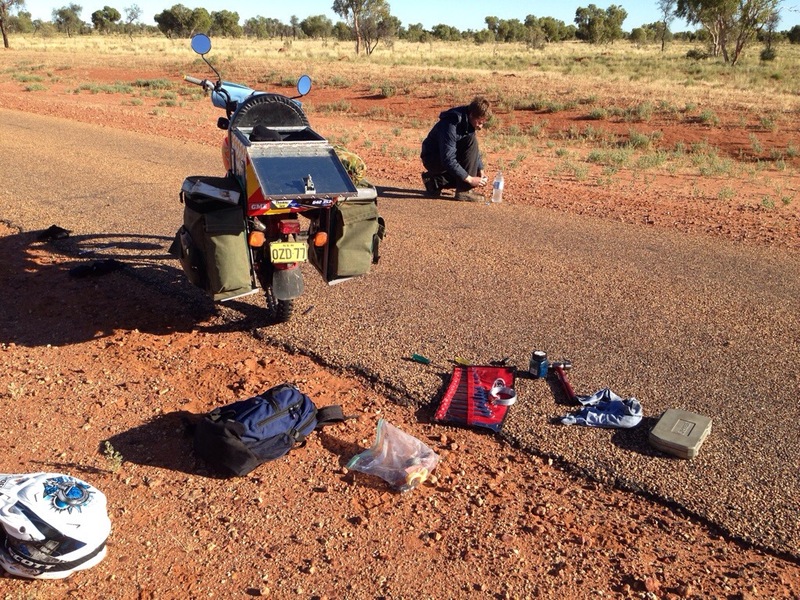 After a quick ask around a fella by the name Heath soon found us a nut off a land cruiser u-bolt and we were ready to go again by 3:30 but had to wait the extra 30mins for the servo to open. 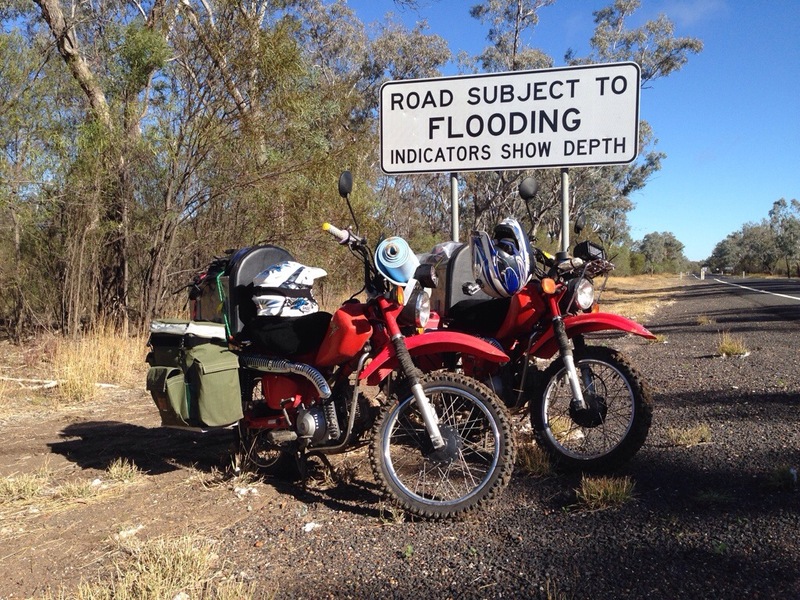 Once we left Dirranbandi we hit the tar for Bollon but with the tar only lasting for 20km and yesterday’s rain that cut up the road we were slowed down to 50km/h. 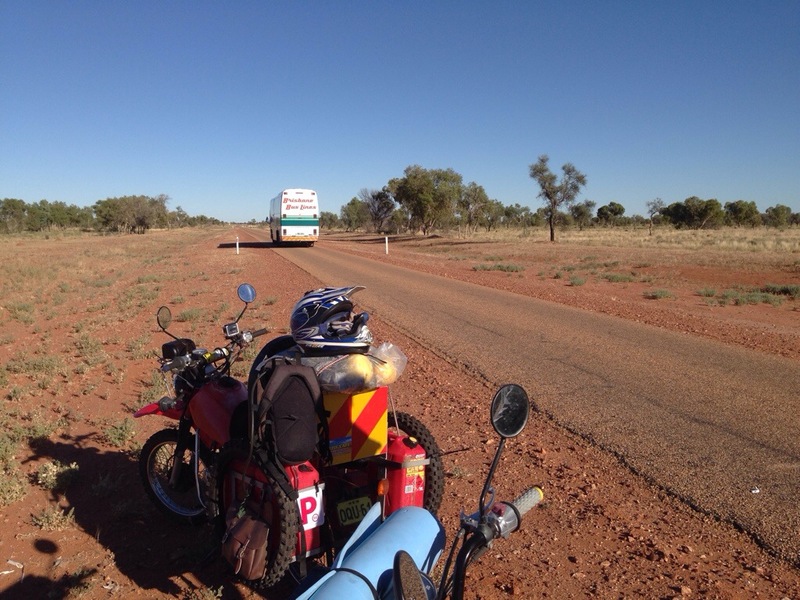 Dodging roos all the into Bollon we arrived with the sun just over the horizon. 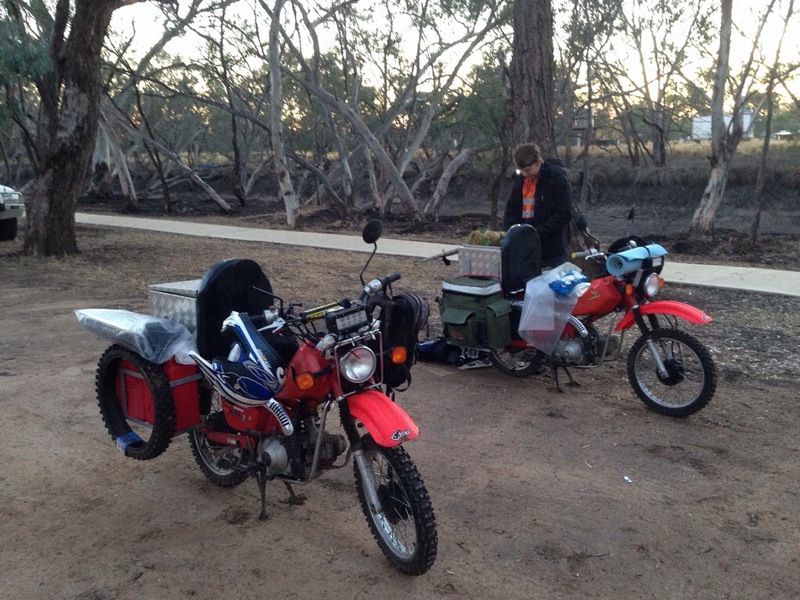 So with a steak sandwich in us we now have our camp set up and I’m curled up in my sleeping bag. 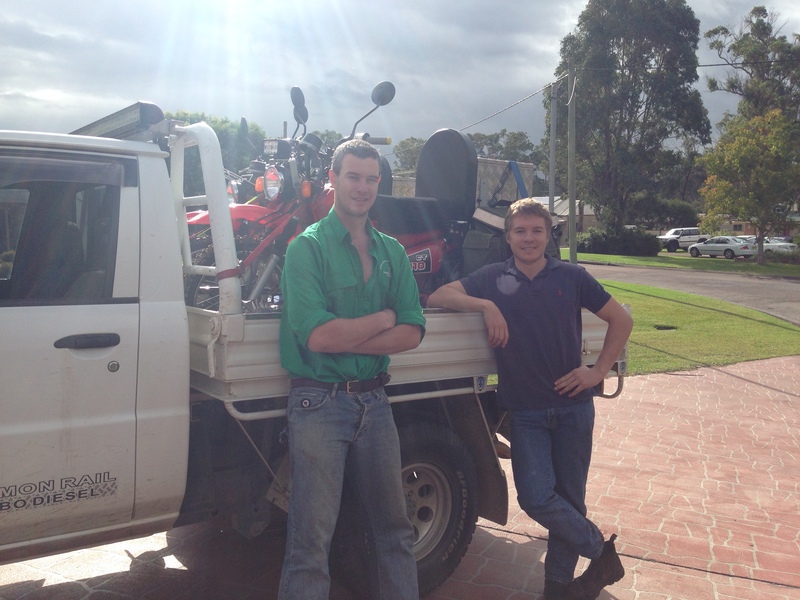 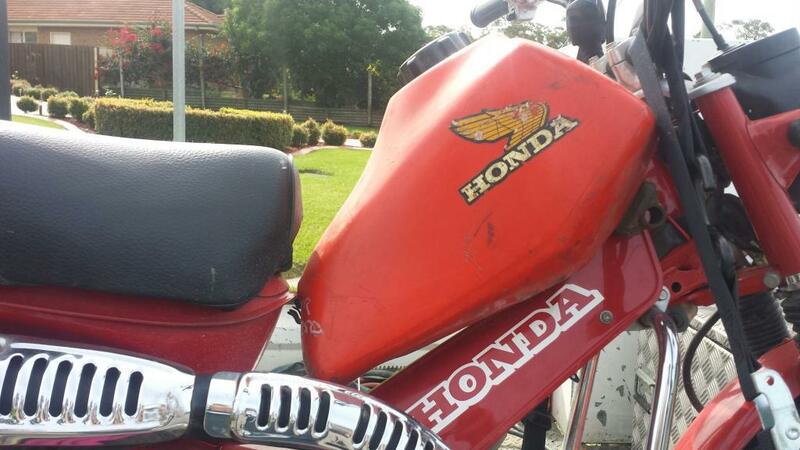 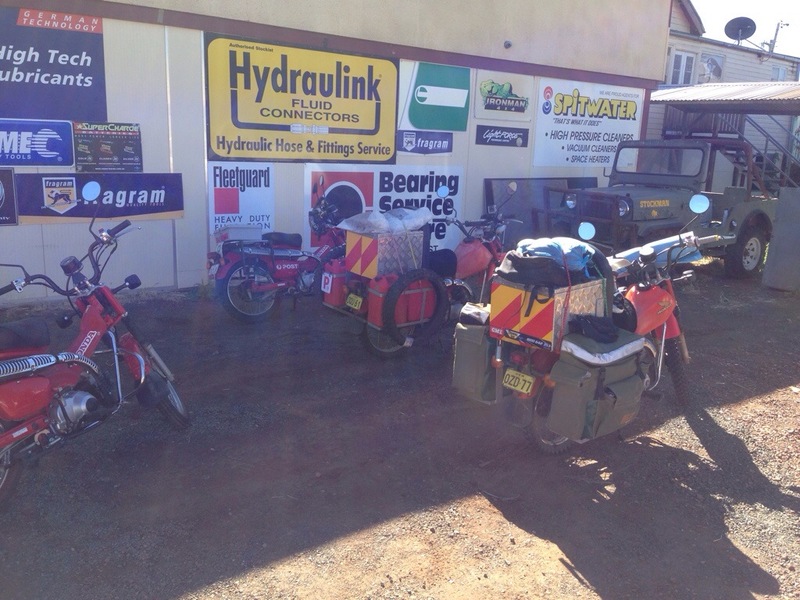 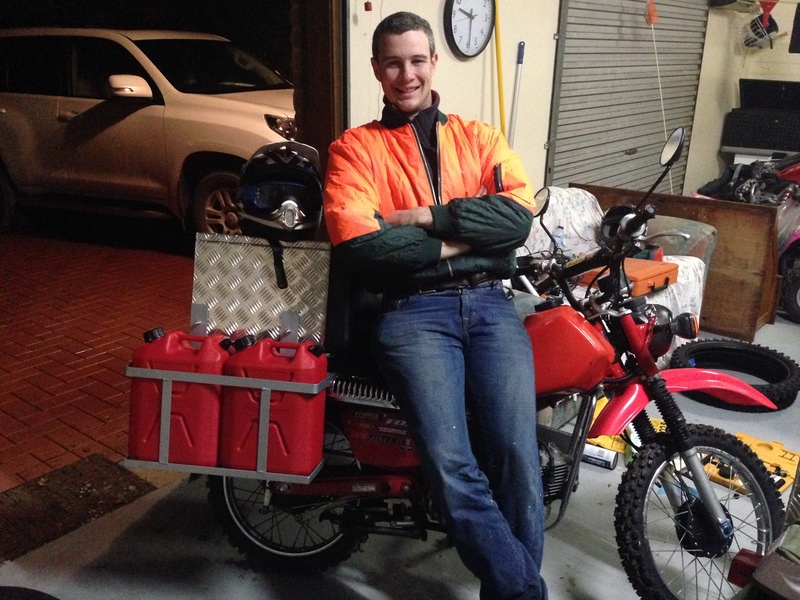 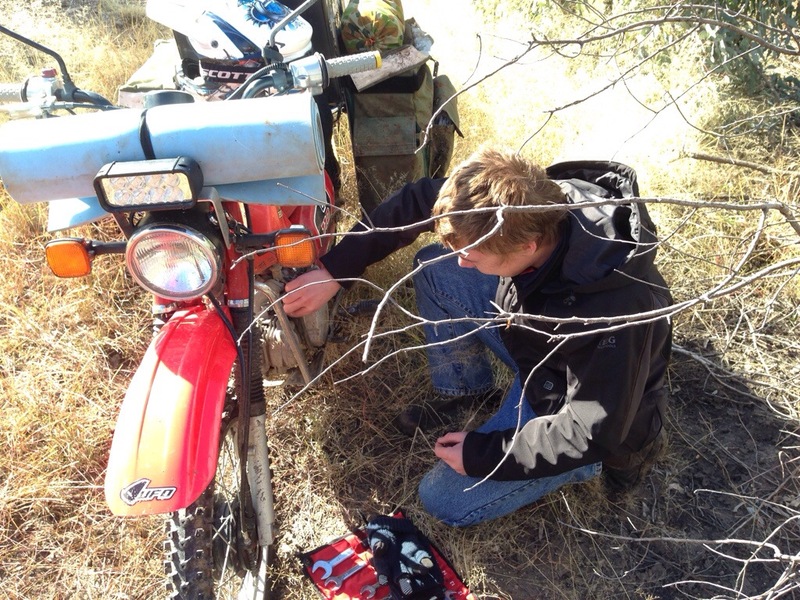 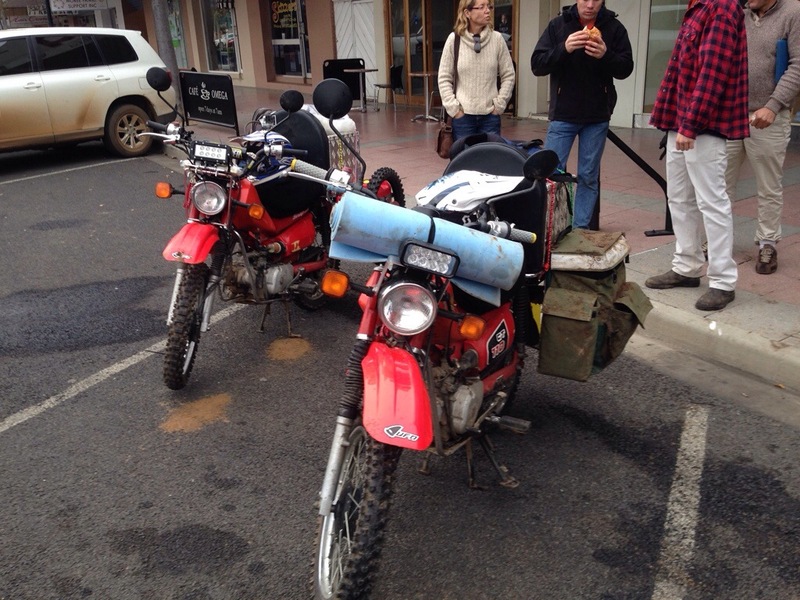 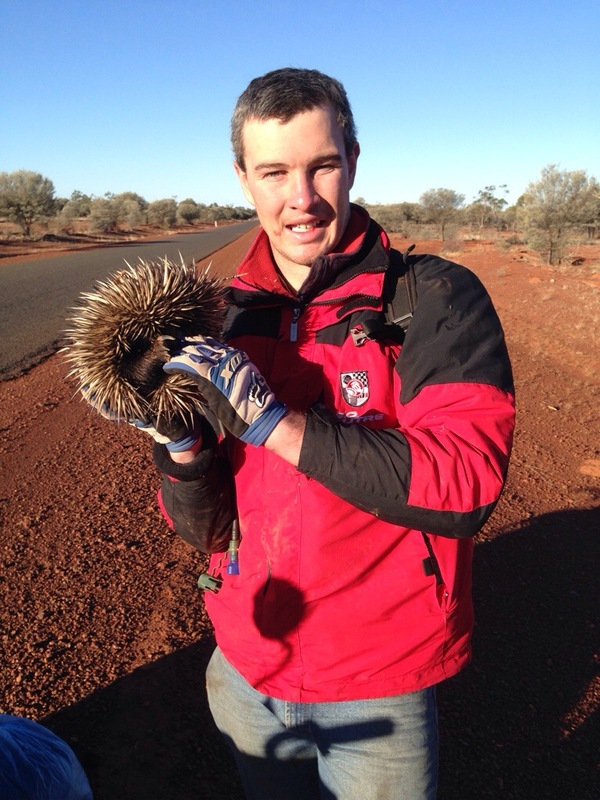 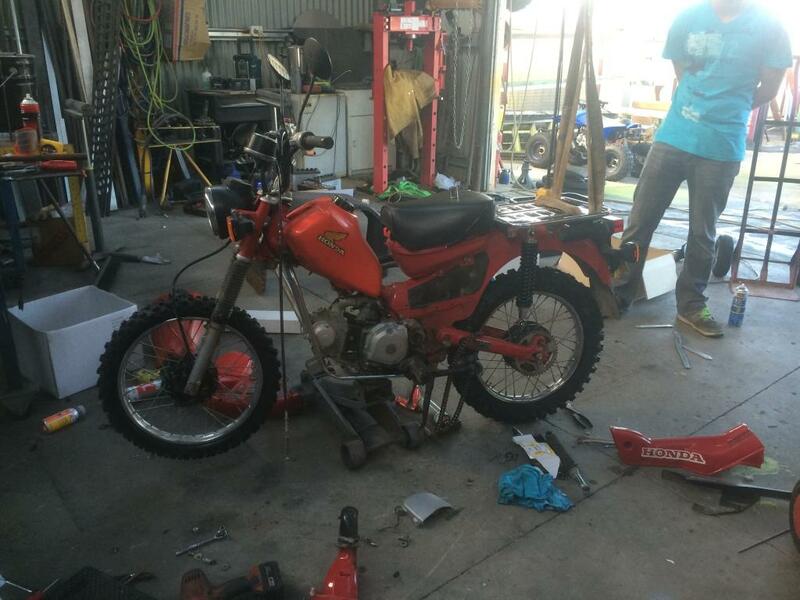 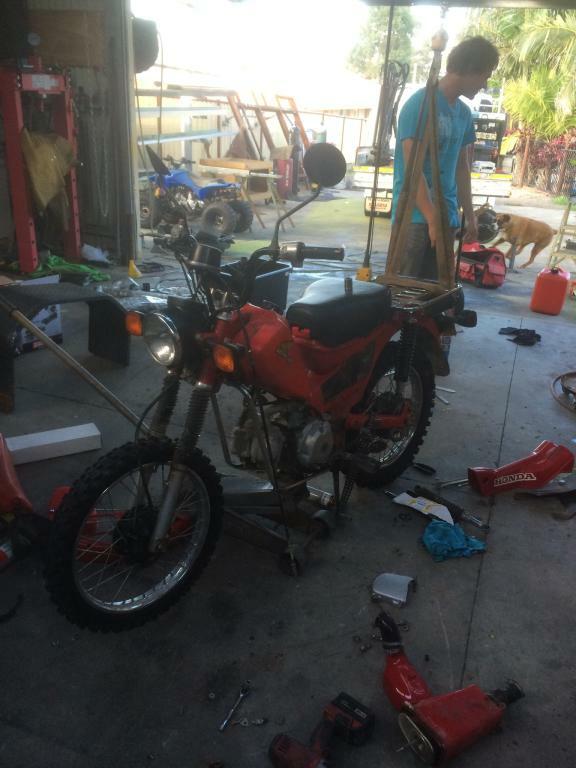 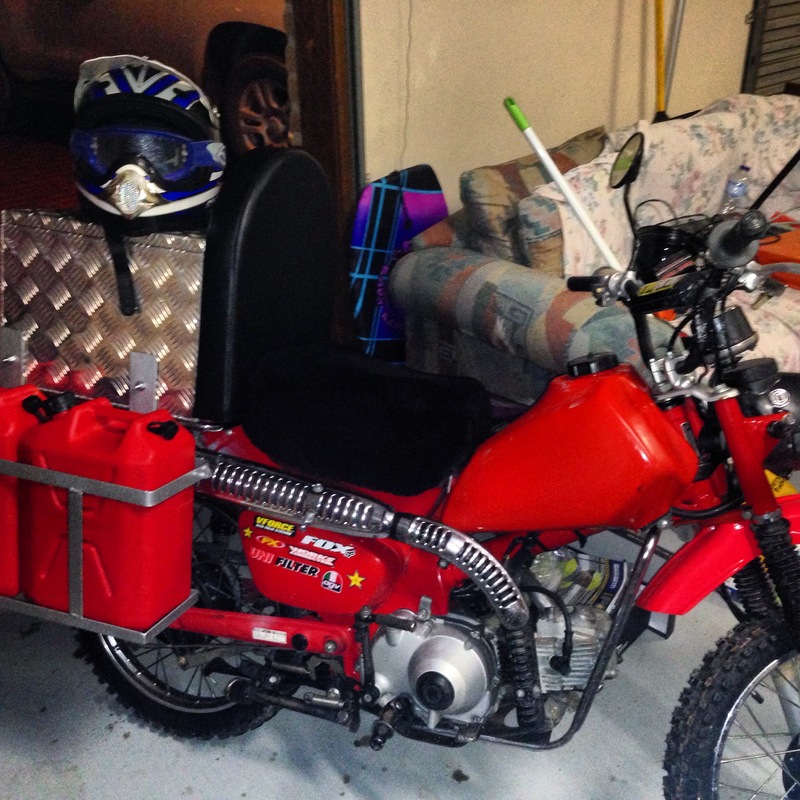 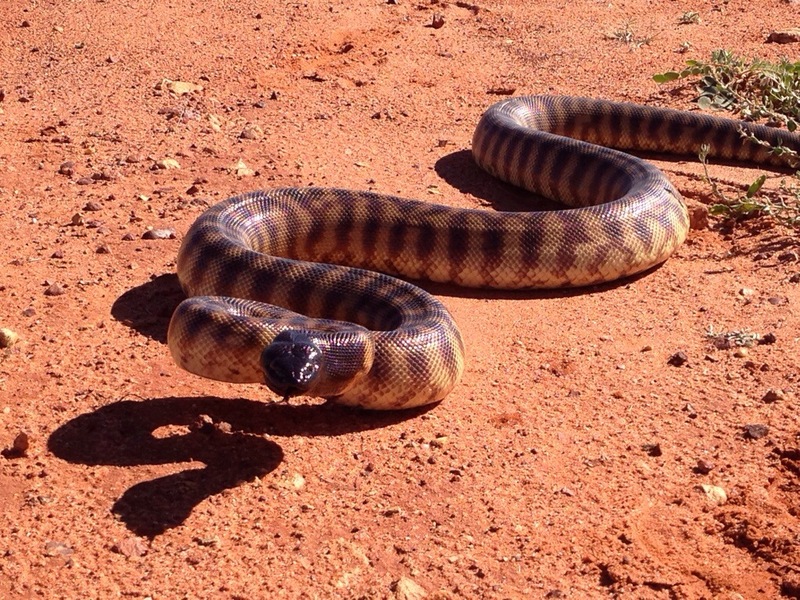 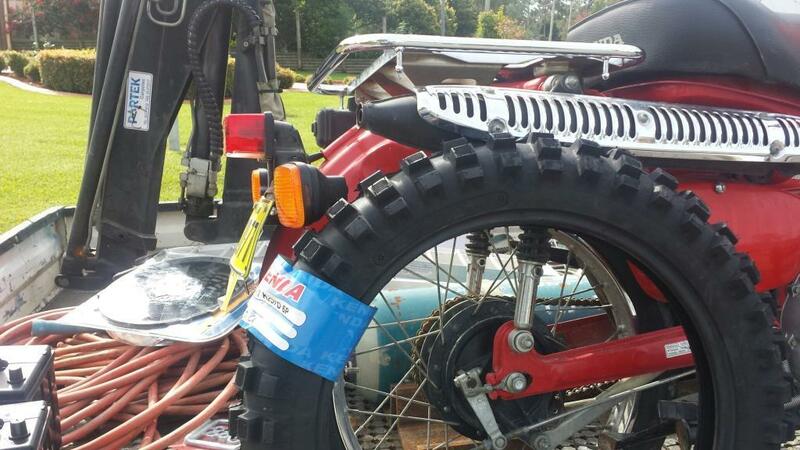 This entry was posted in Uncategorized and tagged Aussie Helpers, Postie Bikes, QLD. 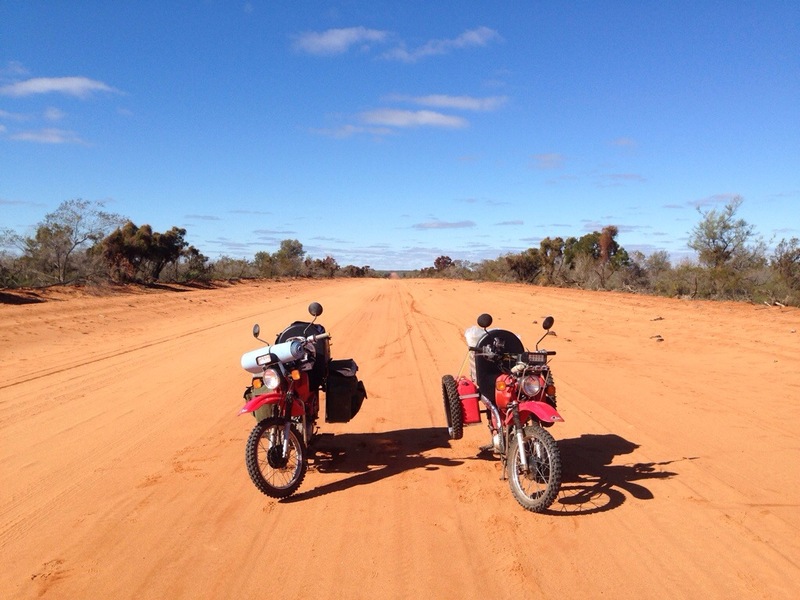 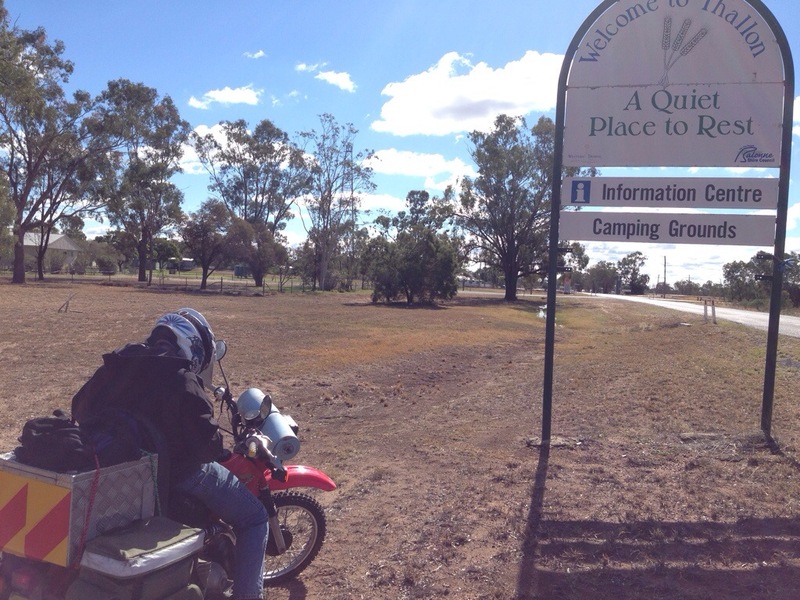 This entry was posted in Uncategorized and tagged Adventure, Aussie Helpers, Australia, Charity, CT110, Farming, Motorbikes, Nerida Egan, Postie Bike, Travel.